BEFORE PERFORMING THESE AND ANY ADJUSTMENTS, ALWAYS MAKE CERTAIN THERE ARE NO SHELLS IN THE CHAMBERS. Point of impact is detenuined by patterning a shotgun and determining the relationship between where you were aiming and where the actual center of the pattern is. The Citori Plus comes preset with point of impact approximately 6" above the point of aim at -iO yards. Point of impact above the actual aiming point allows you to keep the clay bird in view constantly—just above the ril>—as you swing and shoot. 2 With the special Citori Plus rib punch (supplied) and a light hammer, tap out the pin holding the rib to the front rib post (See Figure 21). This punch is designed to make this change easy and to avoid any possibility of marring the rib. tirely from the barrel. When performing point of impact adjustments only, it is never necessary to remove the rib. For a thorough cleaning of the rib adjustment mechanisms it may be helpful in some cases. See ' Removing and Reinstalling the Rib," below, for instructions. Otherwise, proceed to step three for adjusting point of impact. Lower position: upper hole aligned with slot. evator screw in or out. As you turn the screw you will hear and feel a click. Each click represents approximately 1/2" adjustment in point of impact at 40 yards. 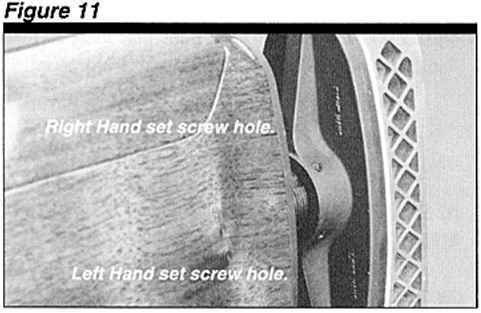 You may use the screwdriver blade found on (lie Invector Plus choke tube wrench (supplied) to make the adjustment. 1 To set a specific point of impact, first set the front rib position <if necessaiy) to the range of adjustment you will need (see above). 3 To set the front of the rib in the higher position, lift up on the rib until the lower hole in the rib lines up with the slot in the rib post (See Figure 22-A). To set the rib in the down position (as it comes from the factory) align the upper hole in the rib with the slot in the post. 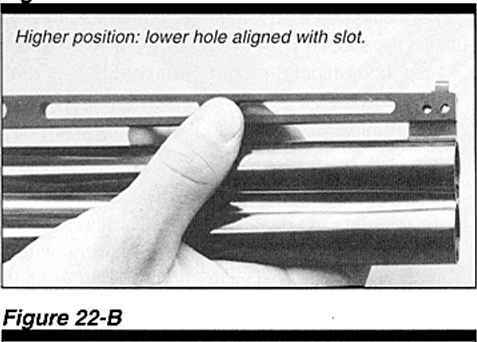 The rib is pushed all the way down onto the rib post in this position (See Figure 22-B). The amount of vertical change from one setting to the next may seem small, but it results in an approximate 3" change in point of impact. 4 To secure your setting, insert the punch in one end of the roll pin and place the pin in the desired hole. Using a light hammer, tap the roll pin into position. Once in position, with no portion • of the pin protruding from either side, the change is completed. 23). Then turn the screw fully down (if it is not already in that position). This will put point of impact at 6" above (with front of rib set down) or 3" alx)ve (with front of rib set up). It makes it easier to turn the screw in by pressing lightly down on the rib when lowering it. 3 Turn the screw out (counterclockwise) to raise point of impact. Remember, each click represents 1/2" movement. Turning the screw in (clockwise) lowers point of impact. Do not force the screw after reaching its maximum up/down travel. 4 When your desired point of impact is achieved, the rib requires no further settings. The click mechanism is made to tightly hold point of impact at your desired setting. 5 Resetting the drop adjustment in the moveable cheek piece may be necessaiy whenever the plane of the rib is changed to alter the point of impact. he rear of the rib up or down. Clockwise: lower point of impact. 1 Raise the rear of the rib by turning counterclockwise on the rear elevation screw until it is as high as it will go, as explained in step two under "Making Small Adjustments at the Rear of the Rib." Do not force. 2 Remove the roll pin at the front of the rib as explained in steps one and two under the subheading "Changing the Position of the Rib at the Muzzle End." 3 Lift up on the muzzle end of the rib alx)iit 30°. Carefullv lift the rib forward and out from the j rear rib elevator housing. Never attempt to remove the rib by lifting on the front of the rib without the rear rib adjustment fully raised. 4 With the rib removed be careful not to lose the rib pivot. It is the circular part with a shoulder barrel jump and give a feeling of lower recoil against the face. They require only an occasional cleaning as described under "Cleaning Suggestions" later in this manual. How to adjust citori plus adjustable rib? How to adjust a browning xt point of impact? How to properly adjust rib on browning bt99 plus? What is the point of impact on a bt100 browning? How is browning xt trap gun set up to shoot from the factory? How to make citori shoot higher? What adjustment to make when shooting under the clay? How adjust point of impact on a shotgun for trap shooting? How to adjust point of impact on browning trap gun? What is the average point of impact when shooting a Browning BT99 shotgun? How to change the front site on 1980 browning citori? How to adjust point of impact of shotguns? How to lower point of impact on a citori? How to adjust bt99 shot pattern? How to point of impact on a shotguh? What is point of impact 12 front? How to adjust pattern on browning shot gun? What is the point of impact on a browning citori xt trap? How to change shot patern with adjustable com? How to adjust trap gun when shooting to high? What is the point of impact on browning superposed? How to adjust a shotgun combe with out shooting? How to lower point of impact on a trap gun? How to adjust the rib on a browning cynergy classic trap? Can you change drop on bt99? How do you rise the point of impact on a shotgun? 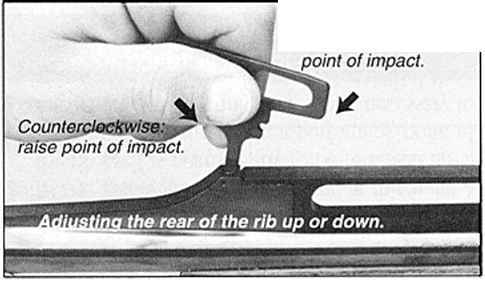 What is adjustable point of impact rib?